We are identical twin sisters who live in different cities but love to connect over all things home. I am the founder and principal interior stylist at Life of Plenty Home and am based in Nashville, Tennessee. I am also the creative director for the Life of Plenty (LoP) blog. 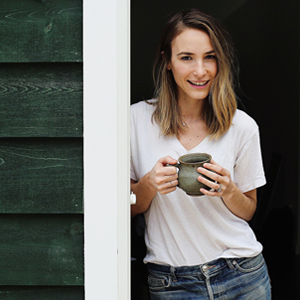 In 2016, I traded in my corporate heels to focus on my passion for all things 'home'. I am an avid collector of vintage furniture and you will often find me at estate sales searching for treasures or at an open house getting inspired by the character of homes in my favorite neighborhoods. I also own the Musician's Farmhouse, an airbnb vacation rental available in East Nashville. Follow me on instagram for my latest design projects and my life at home. Based in Brooklyn, New York, I am the editor and co-author of the LoP blog. I love minimal, organic, mid-century design and spaces that energize and spark creativity. I spend the week in NYC, absorbing the city's culture and working at National Geographic. On weekends, I escape to my cabin in the Catskill Mountains, where I enjoy a plethora of hobbies, including perfecting my sourdough bread recipe, weaving and searching for vintage treasures. Follow me on instagram for photos of my time spent upstate NY and my life in NYC.